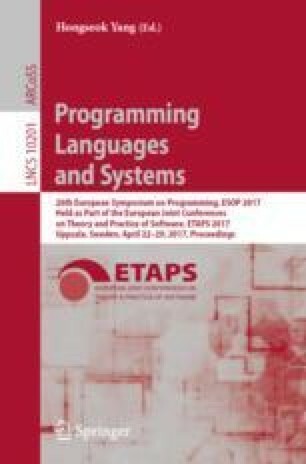 Compiler correctness proofs for higher-order concurrent languages are difficult: they involve establishing a termination-preserving refinement between a concurrent high-level source language and an implementation that uses low-level shared memory primitives. However, existing logics for proving concurrent refinement either neglect properties such as termination, or only handle first-order state. In this paper, we address these limitations by extending Iris, a recent higher-order concurrent separation logic, with support for reasoning about termination-preserving refinements. To demonstrate the power of these extensions, we prove the correctness of an efficient implementation of a higher-order, session-typed language. To our knowledge, this is the first program logic capable of giving a compiler correctness proof for such a language. The soundness of our extensions and our compiler correctness proof have been mechanized in Coq. The authors thank Robbert Krebbers, Jeehoon Kang, Max Willsey, Frank Pfenning, Derek Dreyer, Lars Birkedal, and Jan Hoffmann for helpful discussions and feedback. This research was conducted with U.S. Government support under and awarded by DoD, Air Force Office of Scientific Research, National Defense Science and Engineering Graduate (NDSEG) Fellowship, 32 CFR 168a; and with support by a European Research Council (ERC) Consolidator Grant for the project “RustBelt”, funded under the European Union’s Horizon 2020 Framework Programme (grant agreement no. 683289). Any opinions, findings and conclusions or recommendations expressed in this material are those of the authors and do not necessarily reflect the views of these funding agencies.